I love hens parties, it's such a great time catching up with all the girls and getting up to all types of mischeif, all clean fun of course! 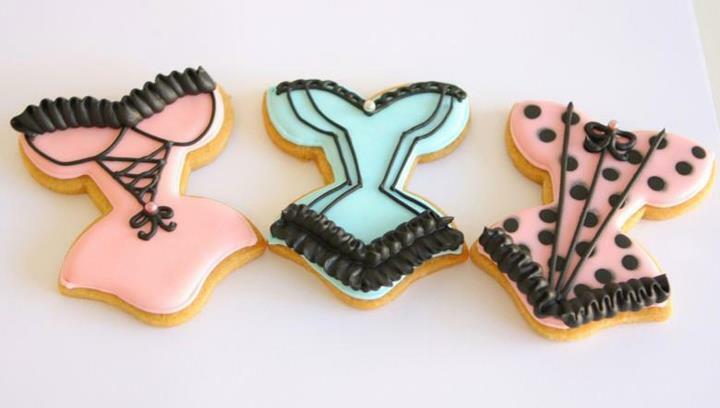 These cookies were for a french chic inspired hens party. I would have to say this cutter is one of my favourite! Full credit for the beautiful photography work must go to my dear friend Keren Brown of the Brown Trading Co.